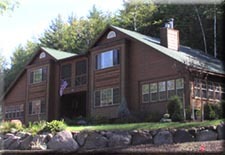 Within the seclusion of a wooded, 600 acre, lakefront setting in the Adirondack Mountains of New York, Green Mansions provides secure leisure home living. Offering Association Services, Rental Management, Sales and prompt, friendly Maintenance to home-owners and guests. Focused on the future, we are constantly upgrading and expanding to accommodate the changing needs of our members and company associates. 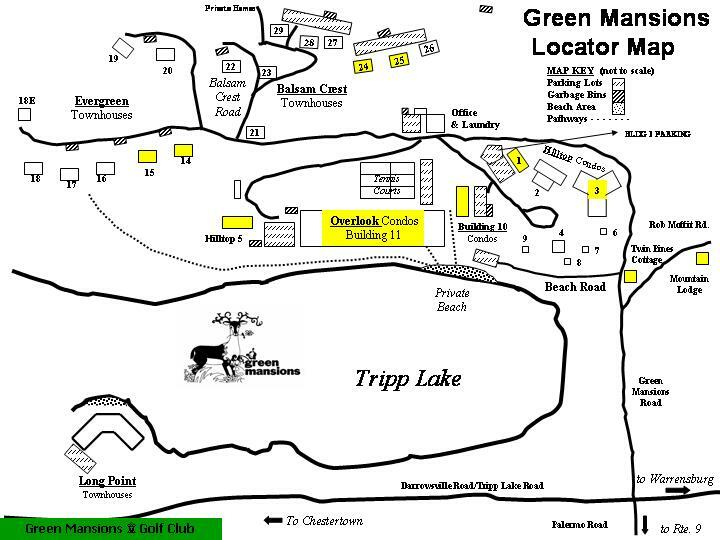 Green Mansions operated from 1922 to 1965 as a "summer only" resort, featuring Adirondack lodging, dining, athletics and entertainment. The Palermo family purchased the property in 1972 and began restoration of the antiquated, although structurally sound facilities. The Palermo's dream was to rebuild Green Mansions into a modern, leisure home community. The first homeowners took occupancy in the mid 1970's. Since then, Green Mansions has advanced into the 21st Century by carefully prioritizing the environmental integrity of the property. State-of-the-art sewer, water and erosion control systems have been installed in all the latest construction. 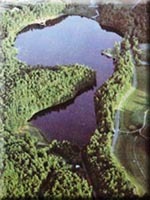 In addition, Tripp Lake has been restricted to non-fueled watercraft only. The nearby Adirondack Mountain communities including Lake George offer an abundance of recreation, historical & cultural activities, family entertainment and nightlife. We Welcome You to Our Own Private World !